BEST CAR DEALS ARE DURING WINTER. December is a good month to get a new car since most manufacturers offer the best buying incentives. December is more than Christmas and New Year. It may also be the best time to buy a new car because for the automotive industry, the last month of the year represents the last opportunity for manufacturers and car dealers to meet their sales goals and set some records. Audi, for example, is trying to sell more than 100,000 vehicles in the U.S. in a row year for the first time in its history, while Toyota tries to sell all its inventory accumulated by the recalls, fact that affected them throughout the year. In the case of General Motors, their dealers are trying to sell the last Hummer, Pontiac and Saturn units left, trademarks that definitely will disappear in 2011. For business owners, December represents the last opportunity to buy or rent (lease) a new car that they can include it in the tax return for next year. Most year-end offers include incentives like low interest rates or rebates offered directly by manufacturers or dealers. As in every season, best deals on financing at low interest rates or interest rates from 0%, involve certain requirements that the buyer must meet to qualify and take advantage. 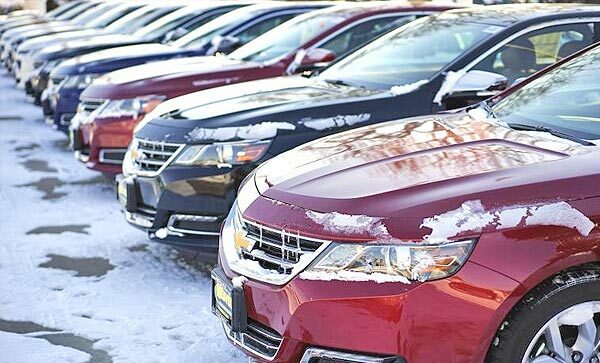 Incentives from General Motors for the end of the year include vehicles from Chevrolet, GMC, Buick, Cadillac, HUMMER, Pontiac, Saturn and Saab, and can reach up to $5,000 dollars in rebates from the manufacturer and/or interest rates of 0% for most 2010 models. There are rebates of up to $3 billion for some of the 2011 models. BMW is offering financing interest rates of 0,9% up to 3,9% for up to 36 months, and rebates of up to $3,500 dollars for vehicles year 2010 and some models of 2011. Dealers may offer incentives of up to $12,500 dollars in the more expensive models. Incentives offered by Chrysler and Dodge manufacturers, include rebates that can reach up to $5,200 dollars in some models of 2010, and dealer incentives of up to $1 billion. There are also offers of 0% financing for up to 72 months, which means you can save up to $3,000 or $4,000 dollars which is the regular cost of a vehicle loan during 5 years. Incentives offered by Ford, Lincoln and Mercury brands, include rebates of up to $5,000 dollars and financing from 0% in some models of 2010. Honda will offer financing plans with an interest rate that goes from 0,9% to 2,9% in some models of 2010, and dealer incentives up to $2,500 dollars. Hyundai and Kia will offer manufacturer rebates of up to $2,500 dollars and financing rates from 0% up to 4,9% in some 2010 models. Funding of up to 1.9% for up to 36 months in some 2010 models. Nissan, which includes Infiniti vehicles will be offering financing rates from 0% up to 4,9% for some 2010 models and reimbursement of up to $5,000 dollars for some 2010 models. Toyota deals consist of finance plans of 0% up to 3,9% in most of their 2010 models and manufacturer rebates of up to $2,000 dollars depending on the state of region of the country. There are also incentives of up to $4 billion by the dealer in some models. There are also incentives of up to $4,000 dollars by the dealer in some models. So if you are planning to buy a new car, truck, pickup, minivan or SUV this coming year, act now and take advantage of the December deals which are known for being the best and most beneficial for smart buyers searching for most cheapest cars.